The Flyer has commissioned the Best Doctors to provide this list of best physicians in the Memphis/Shelby County area. Doctors cannot pay to be on the list. Of course, no list is definitive, and if your physician is not included, it does not reflect negatively on his or her abilities. Any survey, no matter how it's conducted, is subjective. The Flyer is providing this list as an informational service to its readers. Through its global network of Best Doctors and other critical services, Teladoc Health is expanding access to high quality health care, lowering costs and improving outcomes around the world. The company's award winning, integrated clinical solutions are inclusive of telehealth, expert medical opinions, AI and analytics, and licensed platform services. 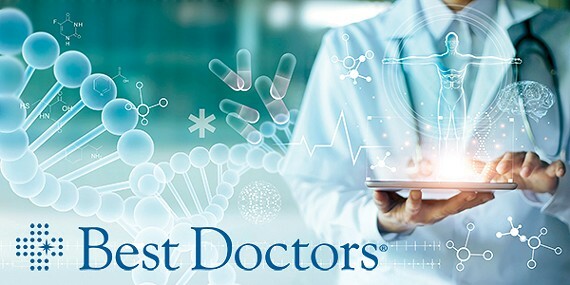 Best Doctors, Inc. is the only authorized source of the official Best Doctors in America® plaque and other recognition items. Best Doctors does not authorize, contract with or license any organization to sell recognition items for Best Doctors, Inc. Please contact Best Doctors at plaques@bestdoctors.com with any questions. For more information or to order visit usplaques.bestdoctors..com or call 617-963-1167.